The exceptional performance of the Multistrada 1000 DS is derived from its impressive twin-cylinder 1000 DS engine and top-of-the-line Superbike components. The unmistakable Ducati trellis frame combines with the fully adjustable Showa long travel fork to provide smooth performance as well as safe, secure handling. The fuel injected 1000 DS is the most advanced, air-cooled Ducati Desmo engine ever. 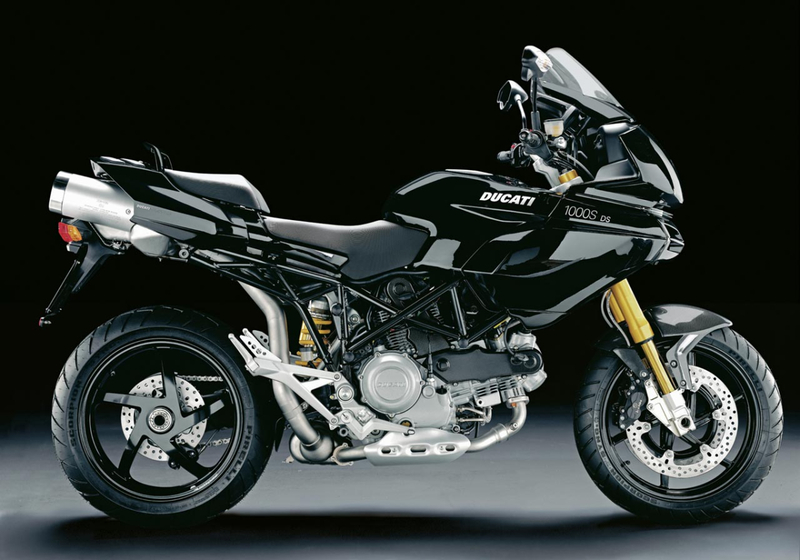 New for 2005: With the Multistrada, Ducati invented a whole new motorcycling concept, that of a machine capable of tackling all types of road and performing superbly on them all, a highly personal motorcycle able to combine touring comfort and sports performance. The Multistrada burst on to the motorcycling scene and in some ways redefined versatility and performance, and offered a true alternative to traditional motorcycles. 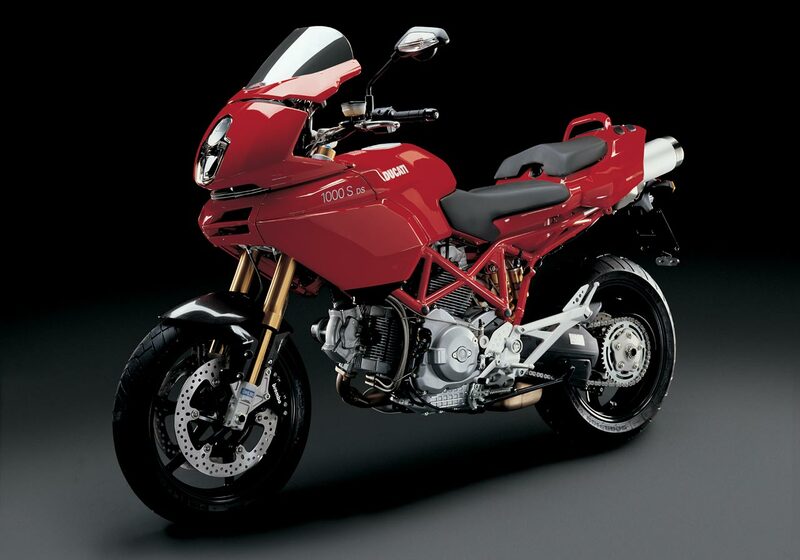 Now, with the arrival of its 2005 models, Ducati provides more alternatives. The Multistrada family has expanded in two directions, with even higher performance in the form of the new 1000S DS with a more sophisticated chassis to satisfy the most demanding riders and to a wider audience with the introduction of two new entry level models. 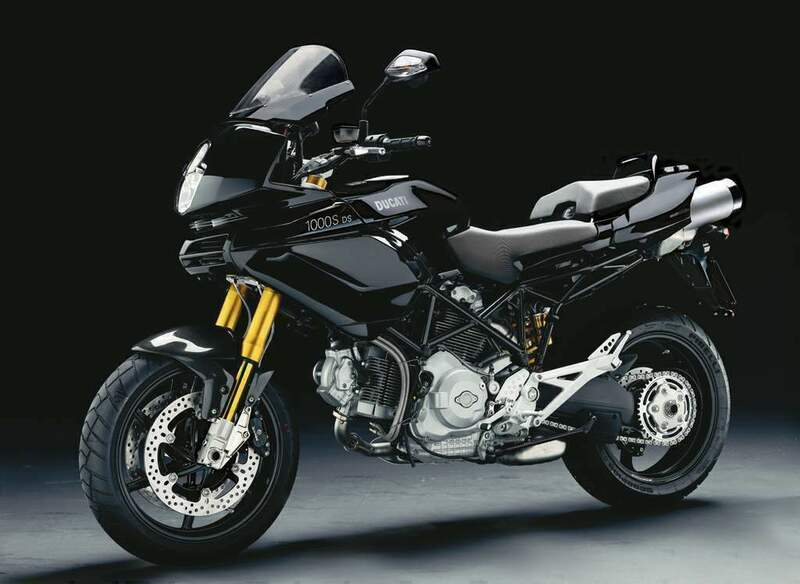 The real news for 2005 is the arrival of the Multistrada and Multistrada Dark, with nothing in their names to identify the engine size but actually powered by the latest 620 cc engines.